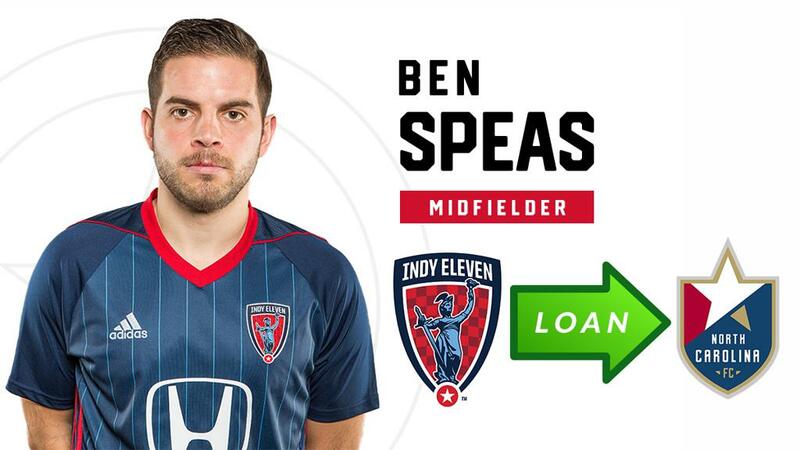 Indy Eleven Professional Soccer announced today that midfielder Ben Speas will join USL Championship side North Carolina FC on a season-long loan for the 2019 season, pending league and federation approval. Speas accumulated 3,200 minutes of play in 51 appearances since joining Indiana’s Team on January 24, 2017. The Stow, Ohio native notched seven goals for Indy Eleven in as much time, three of which were scored last season. In addition to his goals, the 28-year-old midfielder maintained a 72-percent passing record, completed three-fourths of his tackles and tallied two assists in 2018. Prior to Indy, Speas spent time with Major League Soccer’s Columbus Crew SC after signing a Home Grown Player contract (2012-2015) and Minnesota United FC (2016). Speas made 64 total appearances between the two sides. Speas totaled six goals and seven assists in that time. Per club policy, terms of the loan agreement with North Carolina FC will not be released.